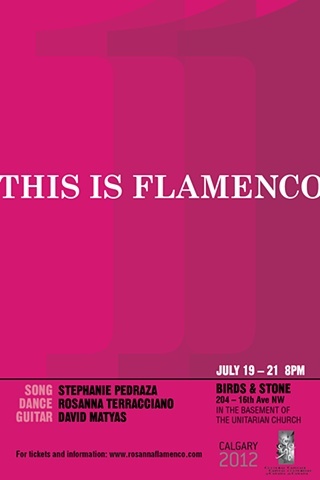 The first instalment in a series dedicated to presenting traditional raw flamenco in an intimate setting. Made possible through the support of Calgary 2012 and the Cultural Capital of Canada program. Watch a video excerpt (Solea/Solea por Buleria)!